A couple of days ago, I spent the morning at the MoMA seeing their Miró show (if you're in NYC, go. It's was an amazing show and the sculptures are not to be missed). It was a cold, rainy, all around crappy day, perfect for museum-going. 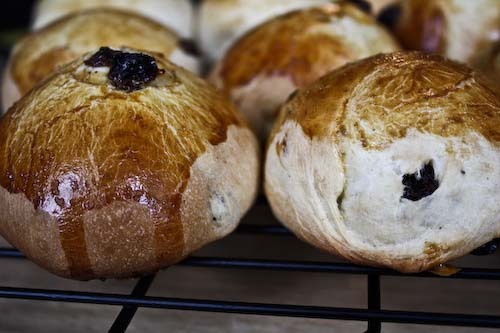 Also perfect, it turns out, for Norwegian bun-making. Because when I got home, R had a wrack of these little beauties just coming out of the oven. He's had buns on the mind for a while now (that sounds a bit strange...), convinced nothing we have in America quite approximates what he's used to at home. 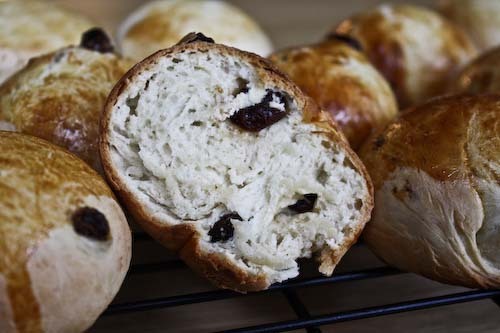 I'm calling these Norwegian Cardamom-Raisin Buns because that's a fairly good descriptor, although R insists they're "just buns." Okay. I see cardamom called for in a handful of recipes these days, and it seems to be a fairly trendy spice in baking. But it's surprisingly scarce in New York. So when I stumbled on an exorbitantly priced bottle, I bought it anyway. Evidently it's as common as ginger in Scandinavia, and comes from the same family. You can also easily find it in Indian stores (right Hanne! ), assuming you can easily find an Indian store. If you happen to speak Norwegian, the original recipe comes from this website. If not, I forced R to translate and you'll find his version below. This is a rather forgiving recipe, as R didn't bloom his yeast or weigh any of the ingredients, just eyeballing instead. In any case, they're prefect for a cold, rainy day after a morning at the museum. Mix flour, yeast, sugar and cardamom. Add the milk to the melted butter, and heat to 40 degrees Celsius for dry yeast (which is just a bit warmer than body temperature). Add the milk and butter mixture to the flour mixture and mix until a smooth dough forms. At this point, kneed the raisins into the formed dough, just until incorporated. Sprinkle a bit of flour on top, cover the bowl and allow the yeast to rise for 30 minutes or double the original size. Kneed the dough a bit, then split it into 16 pieces. Form each piece into a bun by rubbing it between the palms of your hands or against the table with one hand. The pressure should start out hard and get progressively lighter. There should not be cracks in the dough, but if there are, face those down toward the pan so they'll be pretty. Brush the tops with the beaten egg. Oven should be preheated to 400 Fahrenheit (200 Celsius). Bake on sheets for 10-15 minutes. I'm sending this over to Susan at Wild Yeast for next week's YeastSpotting! This is a very interesting flavor combination. We use cardamom and raisins in Indian desserts like milk puddings. Yum! I can just imagine how these would be with chocolate. I am noticing that cardamom is showing up everywhere these days. I haven't used it yet though. Wow! Your better half must be an amazing guy:)!!! Veggie Belly, that's true, I've seen cardamom and raisins in Indian desserts. That's going to be my next frontier, I think, since we're both crazy about Indian food! Esi, chocolate was Ragnar's other thought as well, but we didn't have any. He'll have to make a repeat performance. Hooray for Cardamom! I love it! My friends own a restaurant and they make cardamom ice cream. It's amazing! Thanks! Lovely buns! (That also sounds a bit strange) I decided to splurge on cardamom this past summer and have been using it in nearly every sweet baked good since. I love cardamom. The good thing is, although it is expensive the flavor is pretty intense so a little goes a long way. Great buns! I am so jealous that you get to see amazing art whenever you want. My husband is in NYC this week and I sooo want to be there! I love the buns! Have you shopped Penzey's Spices online? It's a great way to save money and get almost any spice imaginable. Lucky girl, not only do you get to see a Miro show, but to come home to these! Girl, you know how to live! I bet these are wonderful fresh out the oven! You're so right. Cardamom is expensive. But after one taste, you realize pretty quickly, that it's worth every penny. And those buns look scrumptious! Wow,these look great! Can't wait to try them. PS. A man who bakes is a totally keeper. Redmenace, cardamom ice cream? That sounds like a must try! To both Susans: You're so right, although expensive, cardamom is worth the investment and a little goes a long way! Y, I love the idea of "just buns" also, especially when they're made for me! Sorina, thank you so much! I hope you'll come back again! Joie de Vivre, I am lucky, I know. Great art and great buns! Snooky, I have trouble believing you're not great at anything in the baking world! Sam, they were just coming out of the oven when I got home, so yes! Sunshinemom, it's the first time I've ever written anything in deciliters as well, but that's how the recipe was translated! It's a pity that cardamom is hard for you to find... where I am in Sydney there are many Indian spice shops and gourmet food shops around. And my favourite brekkie cafe serves cardamom coffee - just like my Dad makes! 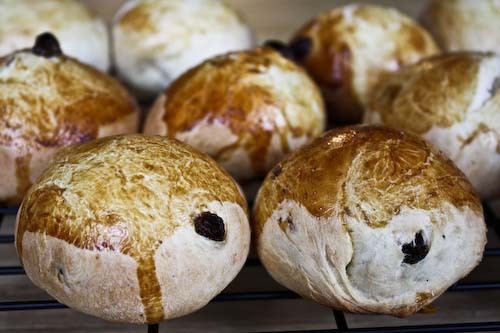 I was thinking of making these buns. They look great. I have cardamom seeds but not the liquid form. Do you think steeping the seeds in boiling water would get an adequate strength liquid? Jennifer, we used the powder form of cardamom, so I'd try grinding up your seeds. 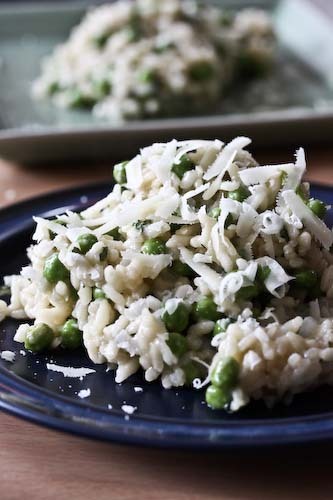 You can use a mortar and pestle or maybe even try a food processor. Let me know how it goes! Actually I just realized I have the powder form too, so I could just use that. Thanks! This sounds like a great recipe, can't wait to try it. I just have 2 quick questions: I notice there is no salt whatsoever in the recipe, is that correct? Also, at what point do the raisins (currants in my case) be added? Hi Tatiana, Sorry about not specifying where to add in the raisins. I've corrected the recipe. Also, I double checked the original and there is indeed no salt. But a little might enhance the flavor, if you'd like to add it. It's a subtly sweet dough without. If you make them, let me know how it goes!